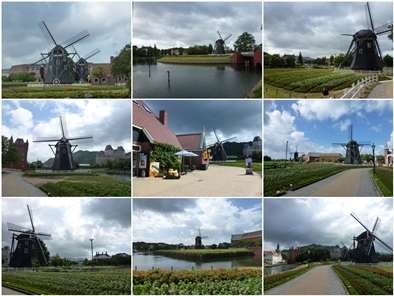 In this article I would want to write about my trip: Going to Huis Ten Bosch. 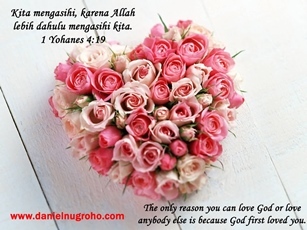 The first day on consecutive holidays, June 13th, I got up early in the morning. After checking the tickets, camera, and other things, first I went to the Kombini (Convenience Store) near Matsuya Hotel. I bought two onigiris for breakfast and a pack of milk. I just ate those and went to Taku Station at 07.20. The local train departure at 07.31 and needed about 30 minutes toward Saga Station, at the center of Saga Prefecture at 08.01. Then I waited for limited express train bound for Huis Ten Bosch which came at 08.15. I could saw many children with their parents as they also wanted to go to same destination like me. While waiting for the train, I checked the position of reserved and non reserved seat, as I couldn’t sit on reserved seat. I also checked the train timetable for returning to Saga. The last train to Taku Station from Saga Station would departure at 21.43, so I had to back before that time. The train to Huis Ten Bosch then came. That was JR ハウステンボス1号(ハウステンボス行), the first limited express bound for Huis Ten Bosch. It needed 67 minutes for me to travel throught 67.2 kilometers to Huis Ten Bosch Station (100 minutes from Hakata in Fukuoka), and it costs 2730 Yen. 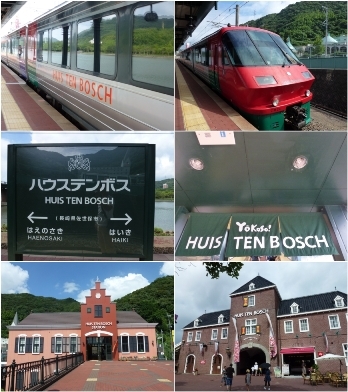 Huis Ten Bosch Limited Express train and Huis Ten Bosch Station in Nagasaki. I arrived at Huis Ten Bosch station on 09.22 in the morning. A lot of people were already in the park as there is many hotels around it. 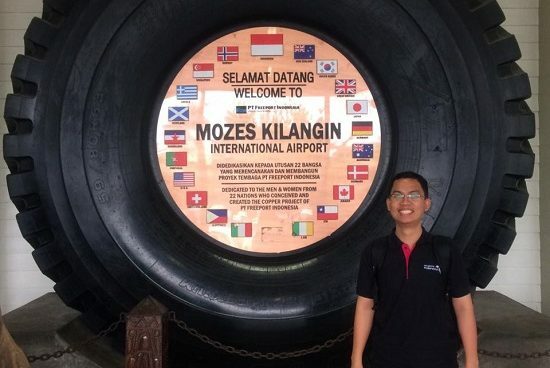 Walking from the station to the entrance needs 10 minutes. After paying 3500 yen for the admission ticket, I was so excited going to the entrance. The European style was so amazing. 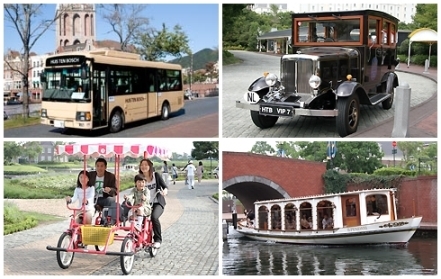 Huis Ten Bosch is a theme park in Nagasaki Prefecture which recreates a Dutch town. It is named after one of the residences of the Dutch Royal Family. The spacious resort is suffused with a European atmosphere with its picturesque canals, iconic windmills, beautiful gardens and architecture. Here are some pictures I took. Huis Ten Bosch theme park entrance. I took picture with Huis Ten Bosch mascot. huis ten bosch art garden located in the eastern part. huis ten bosch flower road in the western part of the park. 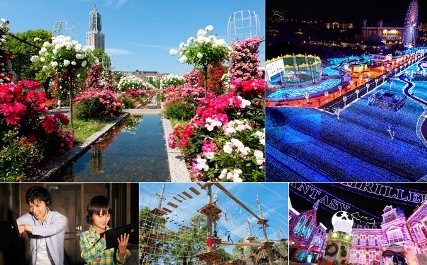 There is Harbour Town, Art Graden, Flower Road, Adventure Park, World Bazaar, Tower City in the park. And because it is quite large, there is also unique transportation means inside the park. At 14.30 I went out from Huis Ten Bosch and headed for the station as I had to catch 14.46 train for Nagasaki. I spent total 5 hours in the park and enjoy the amusement. I ate special mango ice cream and curry rice for the lunch. I also bought some souvenirs. 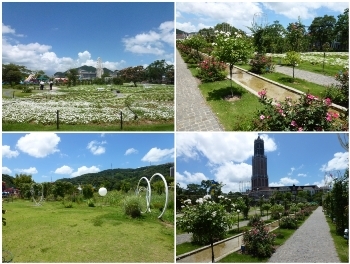 Those are about my story going to Huis Ten Bosch in Nagasaki. 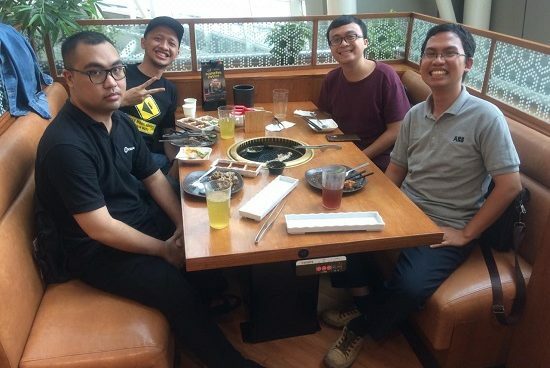 Please continue to reading my next articles about trip in Nagasaki Japan.